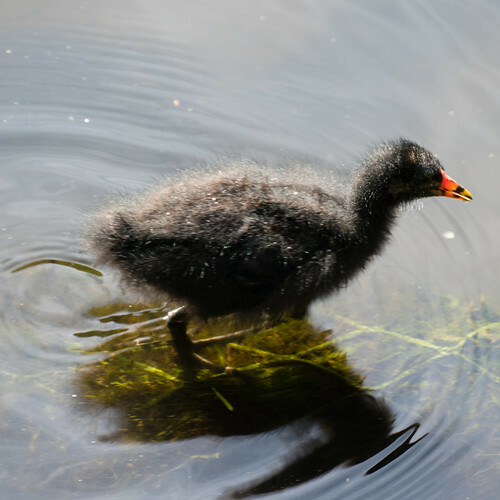 Fluffy coot chicks on local canals. The younger set were with a parent opposite the Wildside Centre. The other pair, by the Science Park, were with both parents and what might have been an older sibling from a brood earlier this year, already in more or less adult plumage. When I stopped to look at this group, all of them started swimming towards me at top speed, evidently expecting food.